LANSING, Mich. November 5, 2018 – Wearing red has become a popular way to support the prevention of heart disease, the #1 killer of women. Now new research suggests eating red may be one of the best ways to keep your heart healthy. A new study published in Critical Reviews in Food Science and Nutrition suggests anthocyanins, the red-pigmented flavonoids that are abundant in Montmorency tart cherries, may reduce the risk of coronary heart disease and cardiovascular-related death. The systematic review and meta-analysis of 19 different studies found that people with the highest anthocyanin intake were 9% less likely to suffer from coronary heart disease and 8% less likely to die from causes associated with heart disease, compared to those with the lowest intake. "Our analysis is the largest, most comprehensive evaluation of the association between dietary anthocyanin intake and the risk of cardiovascular disease," said senior professor Glyn Howatson of the Department of Sport Exercise and Rehabilitation at Northumbria University in the U.K. "Evidence has been growing in recent years to suggest that these natural plant compounds might be especially valuable for promoting cardiovascular health." Howatson, Rachel Kimble (his PhD student) and colleagues reviewed 19 published studies, involving more than 602,000 adults in the United States, Europe and Australia, and compared dietary anthocyanin intake with incidence of heart disease and heart disease-related outcomes, such as stroke, heart attack and heart disease-related death. All studies were prospective cohort studies, following study participants for a period of 4 to 41 years. Upon pooling and analyzing the results of these studies, researchers found a higher intake of dietary anthocyanins was associated with a lower risk of coronary heart disease and heart disease-related death. When separated by location, these results remained significant only for studies conducted within the United States, which may indicate an especially relevant effect of anthocyanins on heart health within the context of the overall American diet. Existing evidence also suggests increased consumption of anthocyanin-rich foods can improve risk factors for heart disease, such as cholesterol levels, triglyceride levels and blood pressure, and might reduce the risk of type 2 diabetes and premature death from all causes. 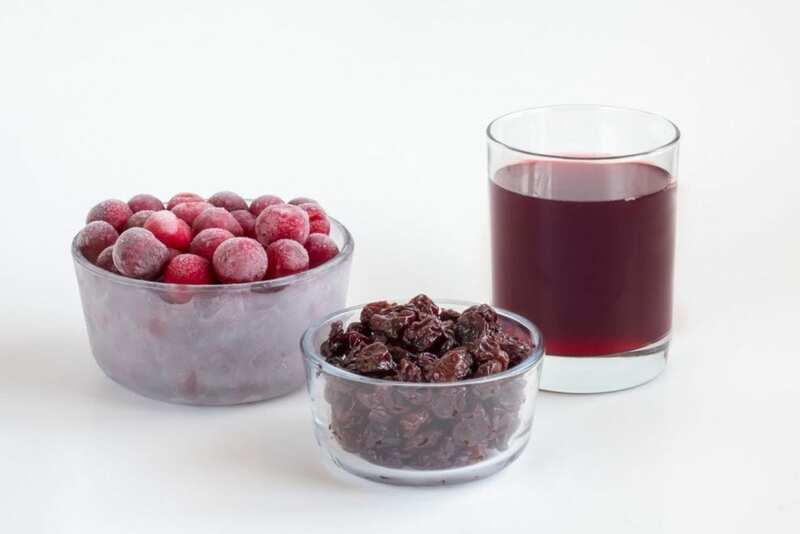 As one of the richest sources of anthocyanins, Montmorency tart cherries have been linked to a variety of health benefits beyond heart health, including a better night's sleep, exercise recovery, reduced inflammation and gut health. Source: Kimble R, Keane KM, Lodge JK, Howatson G. Dietary intake of anthocyanins and risk of cardiovascular disease: A systematic review and meta-analysis of prospective cohort studies. Critical Reviews in Food Science and Nutrition. 2018; Oct. 2:1-12. The Cherry Marketing Institute (CMI) is a not-for-profit organization funded by U.S. tart cherry growers and processors. CMI partially funded the systematic review but had no role in the development of the questions, design, methodology or drafting, review and publication of the article. CMI's mission is to increase the demand for Montmorency tart cherries through promotion, market expansion, product development and research. To learn more, visit ChooseCherries.com.